Archives Ontario and The St. Catharines Public Library. 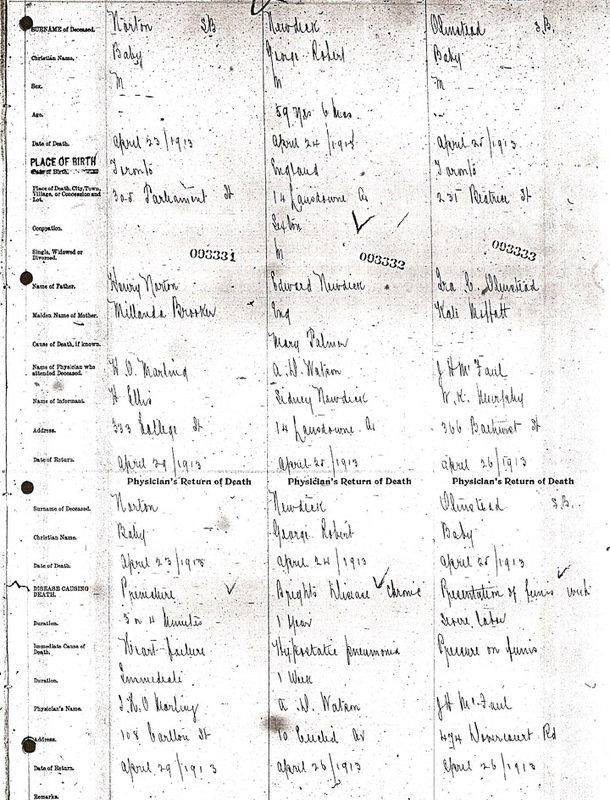 These death registrations were written in a very fine hand and are not easy to read. If you have trouble with the following image, please click HERE for a larger image. Click to return to Bob Newdick on our Newdick page. has been shifted down one line into "Cause of Death, if known."